The Residential Camp is designed for high school age players. The camp combines individual skills with advanced team tactics to enhance the development of each player. Campers will be exposed to challenging training sessions to improve decision-making and speed of play. Competitive evening matches will also enhance development and provide players the opportunity to showcase their ability and potential to perform at the collegiate level. Individual attention and instruction are fundamental goals at the UR Residential Camp. Our coach to camper ratio is 1:8 and the staff is committed to one-on-one coaching and the personal development of every player. At the end of the camp each player will receive a written evaluation to guide them with their training and development after camp. The UR Residential Camp combines outstanding facilities, exceptional coaches and high-level competition to be the premier soccer camp in upstate New York. 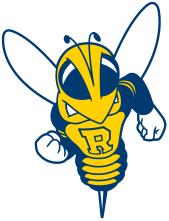 Tuition, room and board on the beautiful University of Rochester campus and a camp T-shirt. $100 Deposit required with application. Enrollment is limited to ensure quality instruction, so reserve your space now! Our goalkeeping staff will teach players the technical, tactical, mental and physical aspects of this crucial position. Individualized training will focus on: footwork, catching, distribution, angle play, high balls, decision-making and communication. The training experience is further enhanced as the goalkeepers are incorporated into small group training sessions and full field II v II matches. Our goal is to provide every goalkeeper with the tools they need to continue to improve long after the conclusion of camp. Registration will be from 2:00 - 3:00pm on the first day of camp. Camp closing will be at 11:30am on the last day of camp with check-out following immediately after.